Kalashnikov USA AK Alpha Tactical Rifle/Carbine with Ambi (Ambidextrous) Controls and Hartman MH1 Reflex Sight Red Dot Combat Optic: Next-Step AK-47/AKM for the 21st-Century! (Videos!) | DefenseReview.com (DR): An online tactical technology and military defense technology magazine with particular focus on the latest and greatest tactical firearms news (tactical gun news), tactical gear news and tactical shooting news. While we here at DefenseReview (DR) love and prefer our tactical AR’s over all other combat/tactical rifle/carbine/SBR (Short Barreled Rifle) platforms–in both direct-gas-impingement (DGI) and short-stroke gas piston/op-rod (push-type operating rod) configurations, over all others–we’re also very big AK (Kalashnikov AK-47/AKM) fans. 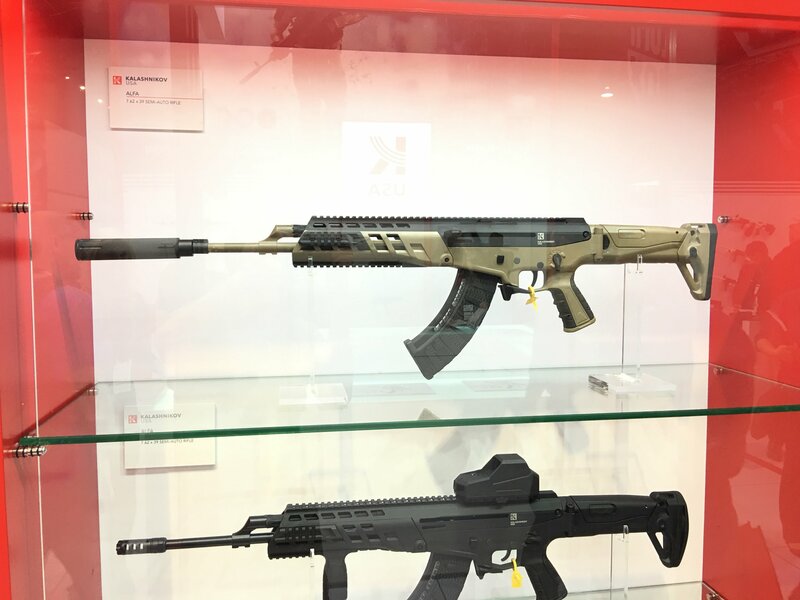 So, we were quite intrigued when we visited the Kalashnikov USA (K USA) booth at SHOT Show 2016, and viewed the new K USA AK Alpha tactical rifle carbine with ambi (ambidextrous) controls and AR-style safety/selector switch, full top rail for mounting lasers and optics, a modular quad-rail tactical handguard up front, an Remington ACR (Adaptive Combat Rifle) / FN SCAR-style side-folding/telescoping stock, AND a nifty new Hartman MH1 Reflex Sight red dot combat optic. The MH1 is actually as interesting to us as the AK Alpha, since it was developed by IDF Lt. Col. (Ret.) 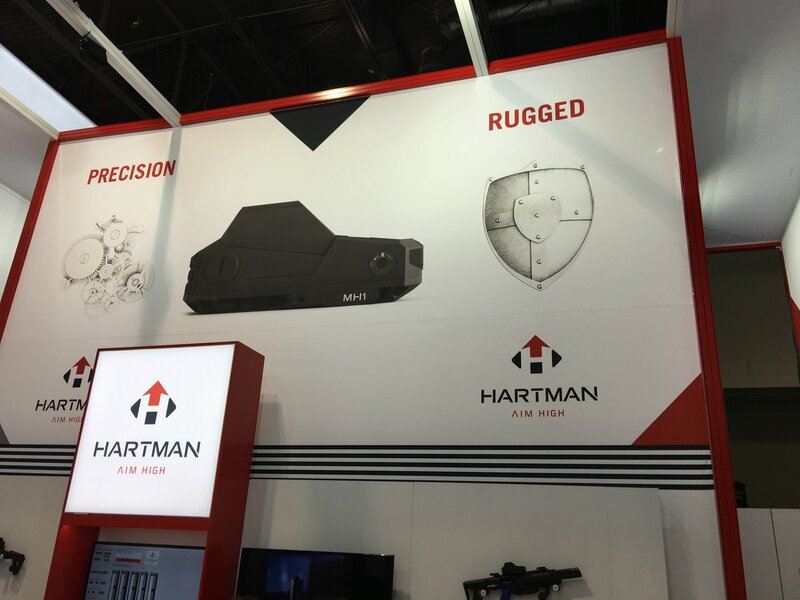 Mikey Hartman, who’s a “former 20-year commander of the IDF Marksmanship and Sharpshooting School, trained more than half a million IDF soldiers in his career”, and is now running his own shop called, appropriately enough, Hartman Ltd., AND serving as CEO of CAA USA and International. So, Hartman must be pretty busy these days. Let’s hope he’s a good multi-tasker. Anyway, DR’s going to try to get some hands-on range feedback on the MH1 from military SOF (Special Operations Forces) professionals, preferably including DR writer/contributor and chief new product tester Jeff Gurwitch, as soon as we can. That said, we have a feeling the MH1’s going to end up being pretty good, considering its designer/developer. DR’s known Hartman for years. To the best of our recollection, we initially met him in 2007, and subsequently saw him again in 2008 at NDIA Infantry Small Arms Systems Symposium 2008, at which time he was demonstrating the then-new select-fire IWI Tavor TAR-21 bullpup assault rifle/carbine and Micro Tavor MTAR-21 bullpup SBR in the main auditorium and out on the firing range. This is where we first got to run both guns (on semi-auto and full-auto), by the way–and we liked Hartman right away, as he comes across as a very intelligent, knowledgable and capable person. So, it’s nice to see him involved with the AK Alpha/MH1 combat optic package. He instills confidence, and the MH1’s features list (see below) looks pretty good. Getting back to the AK Alpha, the upshot is that it essentially takes the Kalashnikov AK-47/AKM platform fully into the 21st-century, and as close to the latest tactical AR’s (AR-15 and AR-10/SR-25), FN SCAR and ACR as possible with regard to ergonomics, weapons handling, and controls, and thus speed of operation in a gunfight. 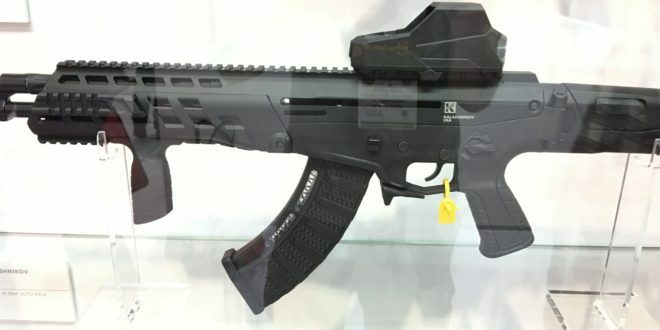 Assuming it works as advertised, and performs as well as it looks at the range, it indeed represents the “next-step” in tactical AK’s, especially with a Hartman MH1 red dot reflex sight/combat optic mounted on it, assuming of course that the MH1 also lives up to the hype–and DR has no reason to think that it doesn’t, at this point. Assuming all of the above, it’s an exciting development in the select-fire assault and semi-auto-only combat/tactical rifle/carbine worlds, not just in the AK world. Looking at all the features listed below and shown/described in the embedded videos below, what’s not to like? 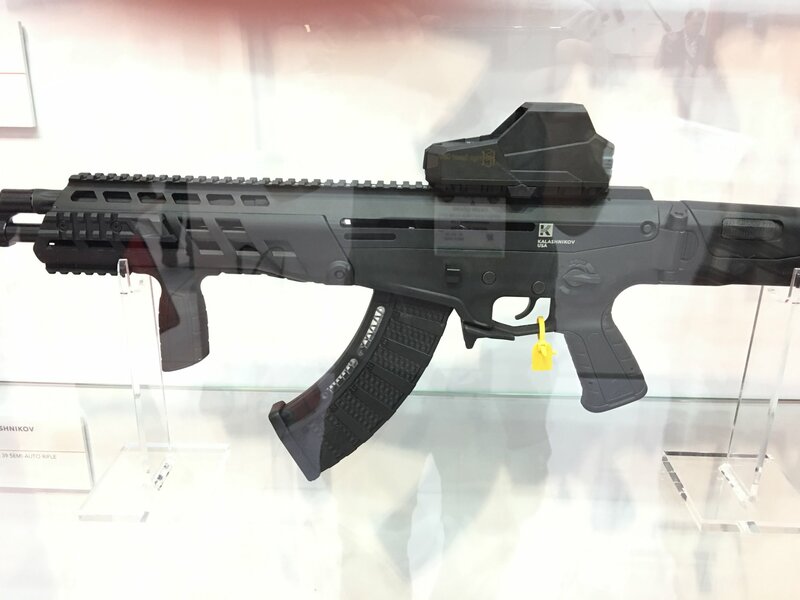 The AK Alpha/MH1 was definitely one of the most interesting new product combos Defense Review saw at SHOT. So, it logically follows that we would very much like to run the AK Alpha/MH1 package at the range as soon as possible to see how it handles and shoots, preferably side-by-side with a tactical AR (AR-15) with ambi controls and a FN SCAR, so we can see how the respective platforms really stack up against each other. 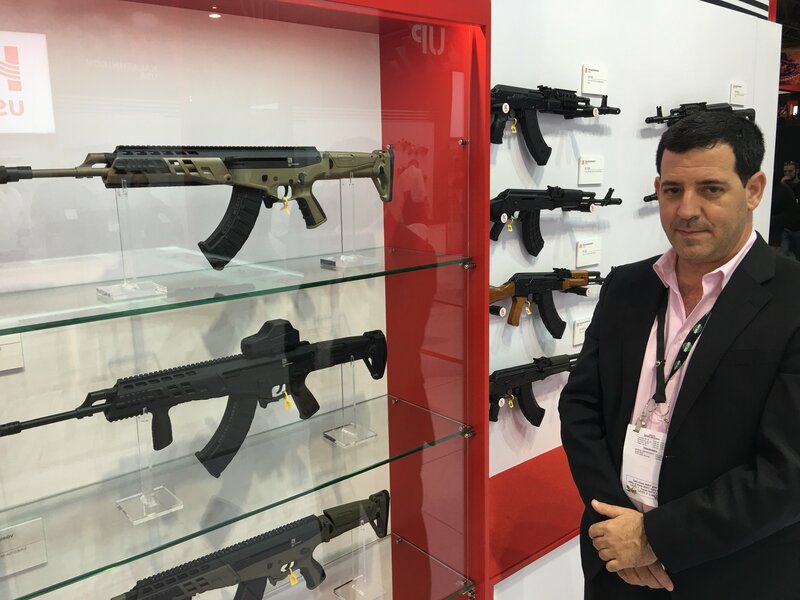 Kalashnikov USA , manufacturer of Kalashnikov style firearms, is proud to announce the AK Alfa will make its debut at booth 12571 at the 2016 SHOT Show held in Las Vegas, Nevada, Jan. 19 – 22, 2016. The AK Alfa, built on the “engine” of the AK, has been redesigned with the sole purpose of providing outstanding performance on the battlefield. A team of hand-picked Israel Defense Force (IDF) snipers and engineers re-engineered the iconic AK platform to better serve today’s warfighter. The AK Alfa’s ability to conform to the user’s body type and shooting style make this rifle a custom AK right out of the box. All of the Alfa’s features have been thoroughly developed and tested to meet the high standards of unrelenting reliability, durability and performance. 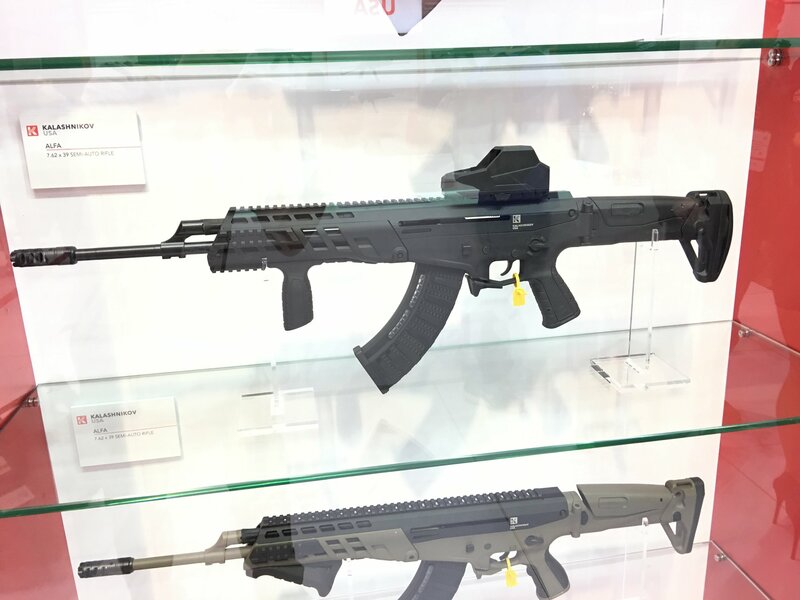 The first two models of the new AK Alfa line are the AKL and AKS, both 7.62x39mm, and are expected to ship in 2016. A host of features make the AK Alfa easy for the user to customize like an ambidextrous safety lever, magazine release and charging handle. Additionally, a retractable buttstock, adjustable cheek piece and interchangeable customized pistol grip inserts conform the Alfa to the user’s body type, easily and quickly without the use of tools. Other features also allow the user to conform the rifle to specific missions, such as interchangeable charging grips and replaceable Picatinny rails and forearm grips. A sealed battery compartment in the pistol grip keeps moisture and dust away from the stored batteries. The AK Alfa uses standard AK magazines. Magazine Capacity: 30 rds. 30 rds. Weight: 7.7 lbs. 7 lbs. “The MH1 is an advanced tactical red dot reflex sight. It has the largest field of view through the sight which greatly improves target acquisition and situational awareness in day & night (NVD) scenarios. controls activation and brightness of the reticle. & 9 o’clock and a centered red dot. → Unique functions such as a USB charging port and unheard of user interface control makes the MH1 one of the most advanced and innovative reflex sights in the world at a very affordable price. MH1 a truly ingenious sight. even when placed directly in front of add-on optical devices i.e. magnifier or Night Vision Device (NVD). → The MH1 is built to MIL-STD-810F. → It is equipped with MIL-STD. 1913 Picatinny / Weaver mounting system assembled on the right side of the sight to avoid accidental opening. → One of a kind usb rechargeable reflex sight. → The largest field of view through the sight. → Custom user interface (optional). → Sleep mode & memory chip. → Fighter friendly low battery indicator. → Lower 1/3 co-witness with backup sights. → Invisible reticle from the target side of the lens. Previous: V Seven (V7) Weapon Systems Enlightened Tactical Handguard/Rail Systems: ‘Magical’ 2099 Lithium-Aluminum Alloy ‘Most Advanced Aluminum on the Planet’!